These are the course details for the above events. The highway shown for the bike course will be closed on May 13th. The Race Organiser has the right to make changes to the course if deemed necessary. The swim course is in the safe haven of the North Dock. We will have ample water safety crew in the water and the course will be clearly marked with large orange buoys. The Youth athletes will swim ONE LAP and the Juniors will swim TWO LAPS – This will be a Beach Start. 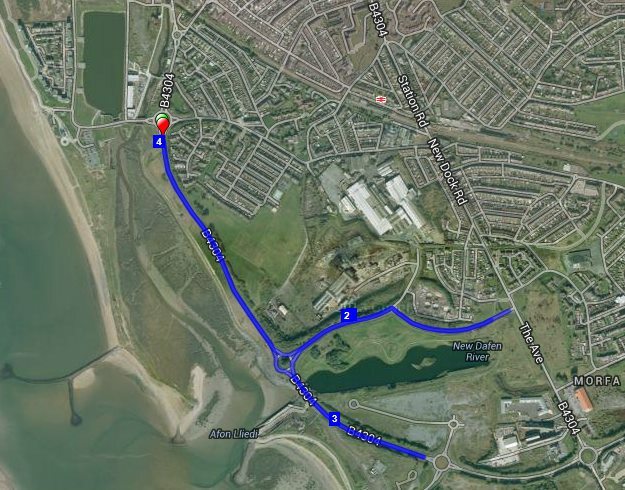 The Bike course will be on closed roads and is flat and fast. YOUTH athletes will complete THREE 4km loops and JUNIOR athletes will complete 5 loops with each loop having 3 dead turns. 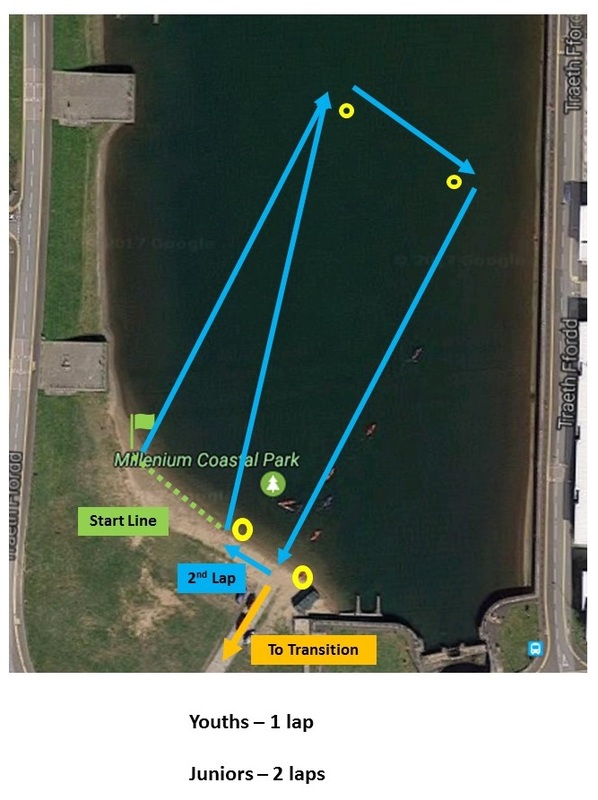 This map shows the location of Transition and the route you will take to the start of the 4km bike loop. Click on Image to enlarge. Transition Area Map can be viewed above.